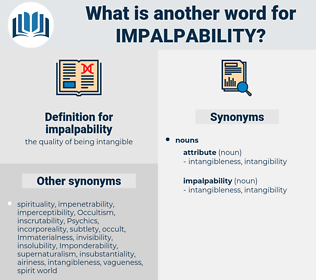 What is another word for impalpability? There was nothing teasing or wilfully elusive in Hawthorne's impalpability, such as I afterwards felt in Thoreau; if he was not there to your touch, it was no fault of his; it was because your touch was dull, and wanted the use of contact with such natures. 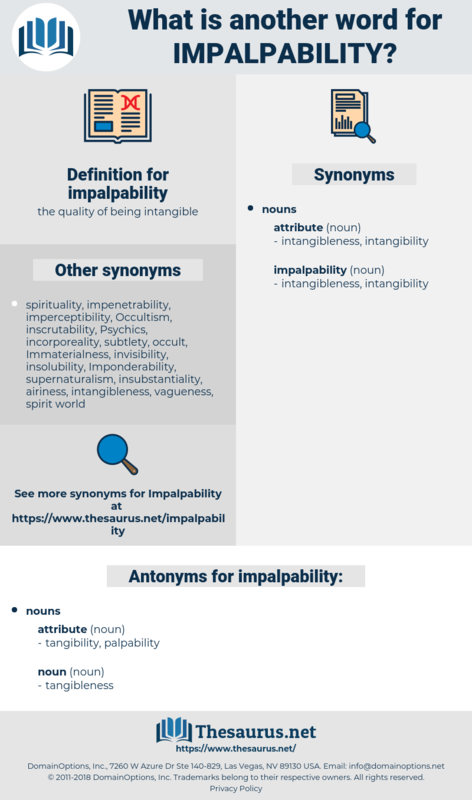 They represent metaphorically, however, certain important qualities of verse which, with the exception of rime, cannot from their very impalpability be formally explained, but can only be suggested and partially described.